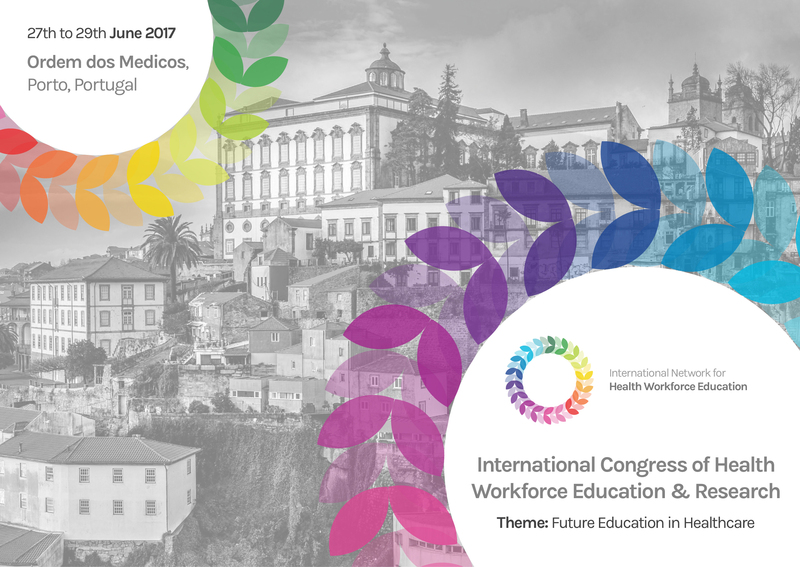 The International Congress of Health Workforce Education and Research took place in the magnificent grounds of Ordem dos Medicos in Porto, Portugal from Tuesday 27th June 2017 to Thursday 29th June 2017. Hosted in collaboration with both the University of Porto and Ordem dos Medicos, the International Network for Health Workforce Education holds its Congress once a year and it is the prime meeting place for international health workforce educators, researchers and policy makers. "The quality of the presentations and depth of discussion were excellent, and made for a very rich and thought provoking conference. The opportunity to gather with other people actively engaged in the practice of healthcare workforce education, beyond the usual boundaries of your own healthcare/education system, was highly valuable." During a time of great change for global healthcare systems the future education of healthcare professionals is key to ensuring long term sustainability for populations. International institutions have called for policies that allow for the education of flexible health professionals capable of dealing with the ever-changing healthcare environment. A multi-stakeholder and inter-professional approach to tackling this issue is paramount to ensuring this takes place. Educators must ensure that they employ the most effective teaching methods, researchers must identify the right skill combinations for future professionals, and policy makers must make effective changes to national and international planning and legislation. The health workforce faces a number of complex challenges at local, national and global levels. At the global level, a key challenge is the increasing number of mobile healthcare workers who are challenging country-based health workforce education and planning. At a national scale, research projects have identified that education and training must adapt to the skill requirements needed to keep the health workforce compatible with policy plans. Therefore, at a local level, educators must assess their curricula, the approaches they take to teaching and the assessment methods that they implement. The health workforce education community is already attempting to address some of these challenges, for example by moving towards inter-professional teaching, competency based training programmes, and clinical reasoning education techniques, but there is still much work to be done.